Sunday, January 1, at 11 a.m. – Special New Year Worship service. From Monday 2 to Thursday 5 January. – The children’s festival “Pau sense treva (Peace Without Truce)” of the district of Sants-Montjuïc took place in the Cotxeres de Sants. Our church participated with a stand in which a handicraft workshop was offered. Some 75-80 children passed by our stand and made cards with sugar and glitter. Each one was also given Bible readings and candies. From Sunday 8 to Sunday 15 January. – The Evangelical Alliance Week of Prayer 2017. The theme for this year was “Unique” and it was based on the five Solas which marked the Protestant Reformation. The materials for the Week were developed by the DACH (Germany, Austria and Switzerland) members of the European Evangelical Alliance. This is an old tradition: going back to the year after the launch of Evangelical Alliance in 1846. It was one of the agreed initiatives that came out of that founding conference. It has had major take-up in many countries in Europe for a very long time. Historically, it has been in the first full week of January each year. For this reason, special prayer meetings were held by zones. The churches of Barcelona were called every day at 8:00 p.m. from Monday 9 to Saturday 14 at the CECMAVI Evangelical Church (11 Maria Victoria Street). In addition to preaching and prayers, an offering was collected on Thursday and there was a concert on Saturday. Saturday, January 14, at 5:00 p.m. – “Self Makeup and Skin Care Workshop”, by Loida Costa, beauty consultant. Eight women who were not from our church attended. Sunday, January 15, at 9:30 a.m. – The women of our church had their first “Desayuno con diamantes (Breakfast with Diamonds)” of the year. Sunday, January 15, at 6:00 p.m. – The children of our church repeated in Arenys de Mar Church the work “In Search of Jesus”, which they did already in the Christmas Meeting of December 18. It was a participatory and dynamic proposal to meditate on the person of the Lord Jesus. Saturday, January 21, at 6:00 p.m. – As the beginning of the new year 2017, the Consell Evangèlic de Catalunya (CEC) celebrated an “United Thanksgiving Service” in our church. This time the service was part of the events of the 500th anniversary of the Protestant Reformation. The message “The Bible, source of personal and collective transformation” was in charge of José Luis Andavert. During the service the medals of honor of the Consell Evangèlic were delivered to Fernando Carrión and Mari Carmen Morante (from APEEN) and Esther Rodríguez (from LTB) in recognition of their career. Finally, two commemorative editions of the Bible were presented. One is in Catalan for the 50th anniversary of the Institució Bíblica Evangèlica de Catalunya (IBEC) and the other is in Spanish for the 500th anniversary of the Reformation. Sunday, February 12, in the morning. – The women of our church had the visit of Sara Martínez for the “Breakfast with diamonds” in February. Then, at the Communion Service, her husband Juan Martínez, pastor of the Ebenezer Biblical Church in Gaiolà Passage, preached about Psalm 1. Sunday, February 12, in the afternoon. – We shared an United Worship Service in the Romanian Baptist Church of Turó de la Peira (15 Montmajor Street). The Choir of our church sang and our Pastor Benjamín López preached the sermon. Saturday, February 18, in the afternoon. 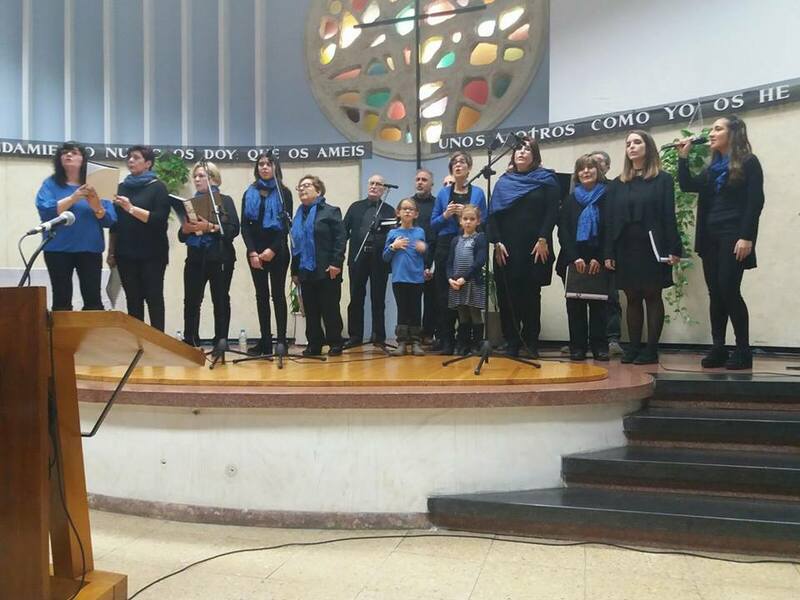 – In the Evangelical Baptist Church of Gràcia (191 Verdi Street) in Barcelona a Memorial and Thanksgiving Service was celebrated for the life of our brother Mr. José María Martínez, pastor, theologian, professor and writer, who went to be with the Lord on June 19, 2016. Our brother was part of a generation of men of faith who have marked the recent history of Spanish Protestantism. Friday, March 3, in the morning. 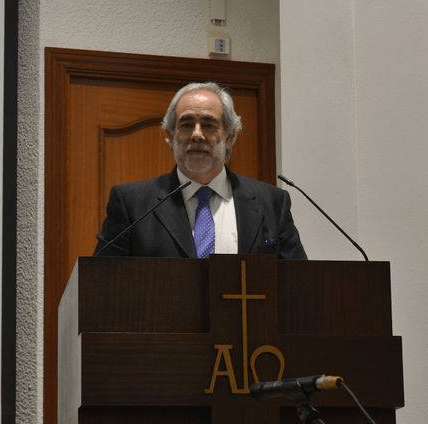 – The General Assembly of the Federation of Independent Evangelical Churches of Spain (FIEIDE, in Spanish) was held in Guadalajara, only for delegates of member churches. Then, from Friday 3 in the afternoon to Sunday 5, the Congress of the FIEIDE was celebrated at the same place with the central theme: “A radical resurgence of the church: The Reformation and its challenge today”. Wednesday, March 8. – Annual Meeting of the Plenary Committee (60th Plenary Assembly) of the Federation of Evangelical Religious Entities of Spain (FEREDE, in Spanish), in the “Cristo vive” Evangelical Church of Madrid. Sunday, March 12. – The Spanish Bible Society called for the celebration of the “Day of the Bible 2017” with the purpose of giving importance to the Word of God and supporting the availability of the Bible in Spain. Graphic and audiovisual materials were prepared for this day. Sunday, March 19. – The women of our church celebrated the 8th anniversary of their “Desayuno con diamantes (Breakfast with Diamonds)”. They had the visit of Esther Rodríguez, who also later shared the Word of God at the morning Worship Service.